A few weeks ago Young Khalifa and Ty$ announced they would be releasing a collaborative EP and today it has arrived. After teasing fans with "Post Up", "Refresh", and "Say no more." 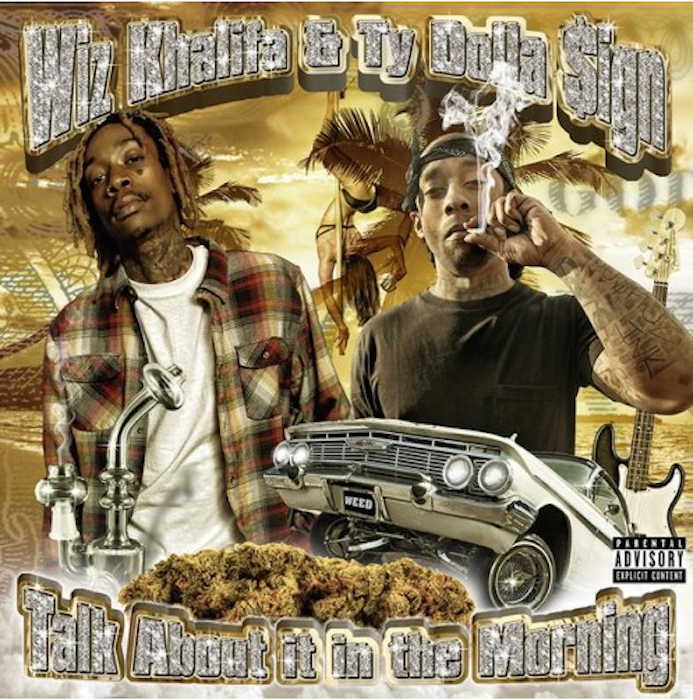 Wiz and Ty$ have released there EP "Talk About It In The Morning." The EP is pretty short and only has 2 new songs, but when listening close those 5 songs gives some juicy details into Wiz and Amber's relationship as Wiz spits "She telling me I need to slow sh*t down and make some time for her and that's when the drama started. " Overall you can expect some trippy sounds and some catchy hooks from the Taylor Gang duo.